In warehouses, we deal with tons of empty pallets, and the load can be overwhelming at times. Yet, people tend not to notice the effect all that lifting and manual manipulation has, because it’s cumulative. Pallets are routinely handled the same way because that’s what we are used to. The problem is really one of ergonomics: people who stress, push and strain with stacks of pallets on a daily basis are more likely to be injured. They certainly aren’t working at the speed you’d like. It’s wasted time with a serious downside. 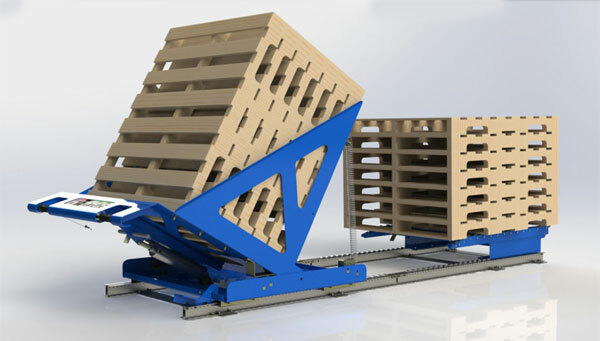 The new Pallet Return Device offers a safer and way more efficient way to handle your pallets, all while making more perfect stacks. 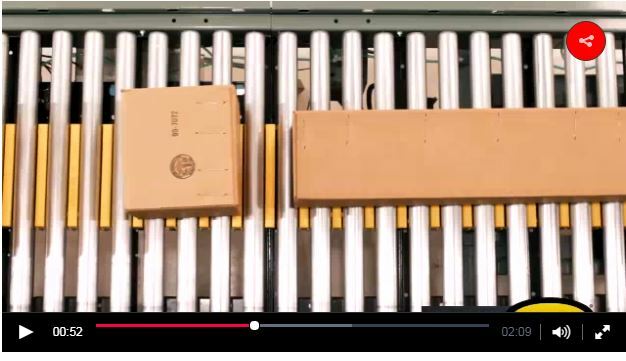 Accumulation conveyors keep conveyed products queued and buffered in a distribution center or packaging operation. They ensure that everything stays in line and undamaged until that load can be moved to the next step. This short video breaks it down. While warehouse robotics can be thought of as too futuristic, there are many e-commerce fulfillment applications being installed today that are set up to take full advantage of all they have to offer a facility. Some may be leery of this technology, but it would be a mistake to say that robotics would never apply to your warehouse. Today’s robotic applications are all based on existing applications and technology, not uncharted research, and each generation of technology gets cheaper. Here are some important considerations when looking at applying warehouse robotics today. 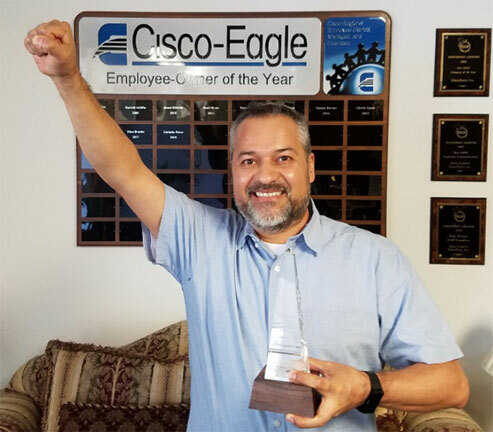 Gerardo Perez has been named Cisco-Eagle’s ESOP Employee-Owner of the Year for 2017-2018, an annual award presented by Cisco-Eagle’s ESOP (employee ownership) Advisory Committee. The employee-owner of the year award is awarded by a committee of peers based on a nomination process that includes all employees.